Take a moment to recall your first job in a professional environment. Did you enter the workforce knowing the definitions of terms like OOO, B2B, SWOT, and EOD? How many times have you heard someone say they’d circle back, touch base, drill down, or get the ball rolling? We’re willing to bet most working professionals have at some point caught themselves saying things like “leverage” or “alignment” during work conversations. The redundancy of corporate jargon may be maddening at times, but before you write it off, consider the values of using a commonly accepted lingo. It can be efficient, allowing you to deliver information using shorter messages; and it builds camaraderie between you and your coworkers, functioning much like an inside joke. In addition to those benefits, reducing ambiguity and the potential for misunderstanding can have an invaluable impact on business operations. In business settings, this tends to happen easily and naturally. Even the term “lingo” has several different synonyms or words that mean essentially the same thing – jargon, slang, vernacular, lexicon, buzzwords – the list goes on. But it isn’t just universal business terms that tend to seep into workplace dialogues. Google, for example, refers to new employees as “Nooglers” and to their annual employee survey as “Googlegeist”. Trader Joe’s store managers are called “Captains” and assistant managers “First Mates”. Disney employees are guided by a “compass” with four points, one of which is a customer service approach they refer to as “Guestology”. And in medical and military fields, where precision and speed are critical, the use of shared and abbreviated terminology is not just a convenience but a necessity. 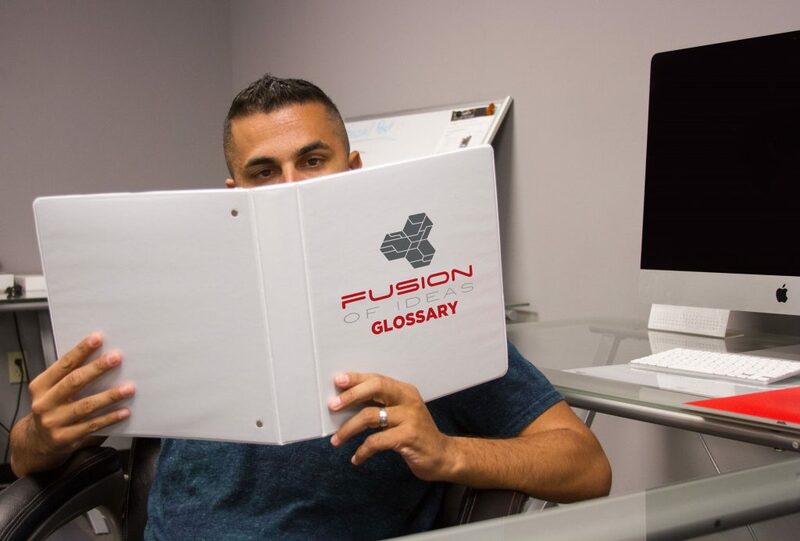 Here are a few examples of some of the jargon, some universal and some company-specific, that you might hear around the Fusion of Ideas office. 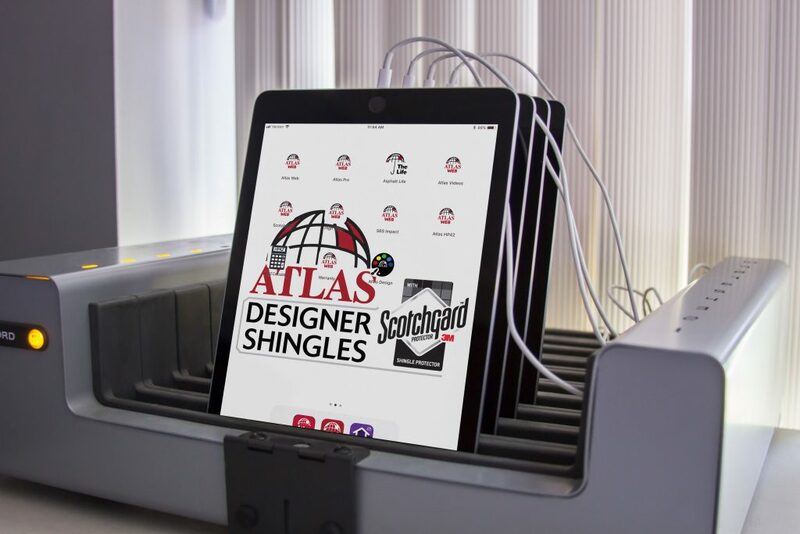 Mockup – high-quality images of several devices and design options, provided at the beginning of each client conversation about our customization services. Asset Tagging – the process of scanning the barcode and serial number of each device so our system can track them. Kitting – Fusion service that involves adding in (“kitting”) additional items to a package to be shipped neatly together. 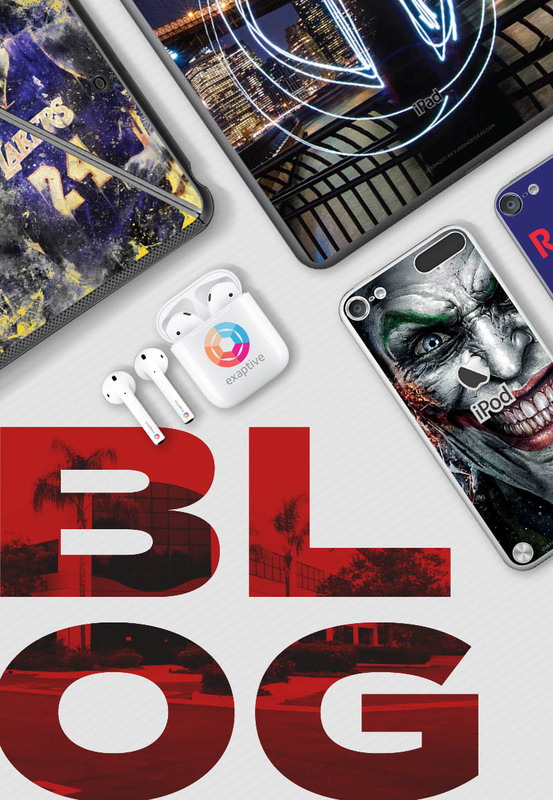 Examples include insert cards, charging cables, cases, and other device accessories. Proof – final design file that is sent to the client for approval after our design team has finished making any requested revisions. Production File – a production-ready file that has been prepared according to the specs of the specific device we’re customizing. The file is created by our design team and sent to our customization team. Hybrid Etch/Print – combination of visible laser etch and color print. One of our most popular customization options. Stealth Armor – protective, industrial grade film that can be customized and heat bonded to a device or product for style and protection. Break/Fix – a replacement/repair service for damaged or broken devices. Under this program, Fusion will ship out a replacement device, then repair the damaged device and place it into the client’s inventory. 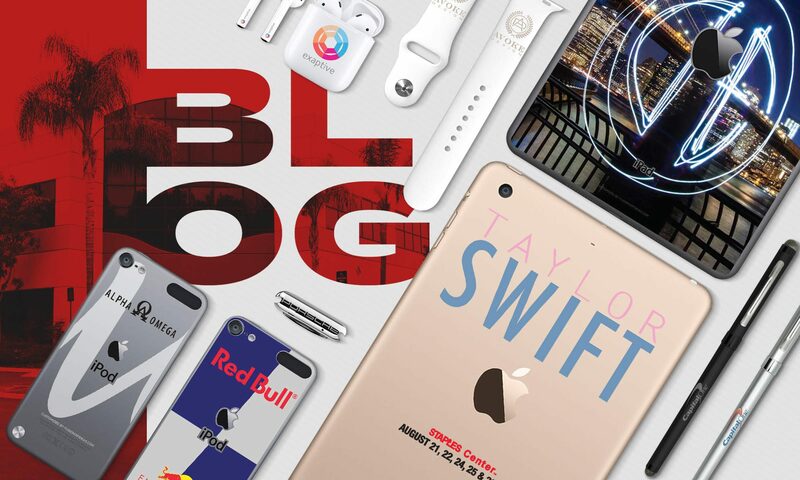 Digital Content – custom content that can be pre-loaded onto devices. Examples include apps, home and lock screens, videos, music, photos, and PDFs. Device Depot – a client-specific inventory of devices which are stored and managed at Fusion and can be pulled from upon the client’s request. For example, we might pull from the inventory to replace a client device that was broken, lost or stolen, or the devices might be kept on hand and ready to ship to a new employee upon request from a client. Mobile Device Management (MDM) – service that allows businesses to manage specific content, programs, apps, and settings on their devices. Updates and changes can be pushed remotely to the devices. DCS (Dynamic Content System) – simplified custom mobile app option for displaying and updating content. Can be continuously managed by the client using admin portal. Ordering Portal – A client-specific, easy-to-use web or app portal that allows clients order, ship, and manage their devices. The front end provides information about the program and device options. The back end allows for the client and Fusion to manage all orders and reports. HQ – the “headquarters” of all our projects and related data, HQ is Fusion’s custom Client Relationship Management (CRM) software and project management database program. HQ houses all projects, proposals, client contact information, and notes.